Changing Technologies consultants are trained, certified, and supported by the most powerful name in network management. As a Microsoft Certified Partner, Changing Technologies can offer the highest levels of technical expertise, strategic thinking, and hands-on skills available. SonicWALL solutions are deployed across small, medium and distributed enterprise environments around the world, including government, healthcare and retail point-of-sale installations. The extensive lineup of SonicWALL appliances and software address an ever growing range of security and threat management issues facing organizations today—from small businesses to large enterprises, with each product designed to work seamlessly together. Dell delivers innovative technology and services they trust and value, offering a broad range of product categories, including desktop computer systems, servers and networking products, mobility products, software and peripherals and enhanced services. StorageCraft is fast and reliable, data protection and for Windows servers, desktops and laptops. ShadowProtect provides disk-based backup that captures full, differential and incremental point-in-time backup images of an entire system: OS, applications, configuration settings and data. Choose from a number of flexible recovery options – bare metal recovery, recovery to similar hardware, dissimilar hardware or virtual environments or ultra-rapid granular recovery of individual files and folders. 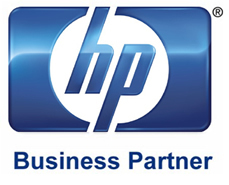 HP has a long history of technology leadership, and of developing intuitive products that are easy to use and manage. As the world's largest technology company, HP brings together a portfolio that spans printing, personal computing, software, services and IT infrastructure at the convergence of the cloud and connectivity. HP can help you create seamless, secure, context-aware experiences for a connected world. Cisco Systems is the worldwide leader in networking for the Internet. Today, networks are an essential part of business, education, government, and home communications. Cisco hardware, software, and service offerings are used to create the Internet solutions that make these networks possible, giving individuals, companies, and countries easy access to information anywhere, at any time. In addition, Cisco has pioneered the use of the Internet in its own business practice and offers consulting services based on its experience to help other organizations around the world. Virtualization is the essential catalyst for cloud computing. 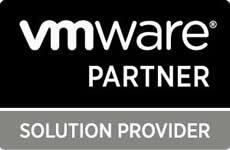 As the virtualization leader, VMware builds on this solid foundation with platforms and solutions to power your cloud infrastructure, build and run robust cloud applications and supply end-user computing as a cloud-based service. EMC Products protects your most strategic asset, information. You can count on EMC to keep innovating ways to store, protect, optimize, and leverage information, all with the aim of contributing to your ongoing success. Your business is always in motion and EMC always keeps pace. From disk libraries to content management systems to storage area networks, our products are the ones business and IT professionals have turned to for years. Explore the product selection below to begin building the information infrastructure that’s right for you.